Investigators from the Missouri Botanical Garden and University of Antananarivo conducted a study to document local use of medicinal plants in three communities around Madagascar’s Analavelona Forest. Madagascar hosts one of the richest natural heritage in the world but is classified among the least developed countries with low Gross Domestic Product (GDP) per capita estimated at 409$ in 2015. This poverty contributes to a rapid loss of biodiversity in a country, where exploiting natural resources are the unique available sources of incomes for most of people living in rural areas. Due to health facilities that do not meet standards, together with poor sanitary infrastructures and unmotivated medical staff, unaffordable drug costs and high consulting fees, use of medicinal plants is now often part of the first resort delivered and the only accessible therapy to people from several localities in Madagascar including communities from remote areas like Mahaboboka, Mikoboka and Amboronabo. Based on interviews with villagers in the Mahaboboka, Amboronabo, and Mikoboka communities, the team documented 235 medicinal plant species used to treat various ailments including disorders of the blood and cardiovascular system; digestive system disorders; dental health and cranial system problems; general ailments; infectious diseases; musculoskeletal disorders; nervous system disorders; problems of pregnancy, birth, and puerperium; reproductive system disorders; respiratory system disorders; sensory system disorders; and veterinary ailments. 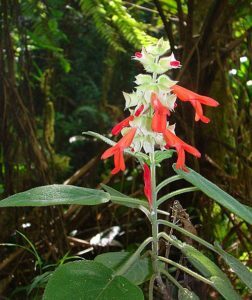 Widely reported medicinal plants included Acridocarpus excelsus, Cedrelopsis grevei, Henonia scoparia, Leonotis nepetifolia, and Strychnos henningsii. Knowledge of medicinal plants in areas surrounding Analavelona forest is well transmitted orally from elders to youngers, from dominant ethnic group to immigrants and from illiterate people to school going and to the other members of society. This work is significant as it helps the conservation of medicinal plants knowledge and constitutes a written document for the next generation. Results of this study will ease decision making for the conservation of Analavelona forest. For the continuation of the project, local communities will be aware of known plants properties which exist in the area. They could benefit traditional knowledge they disclose to the scientific community especially regarding the discovery of new medicines. 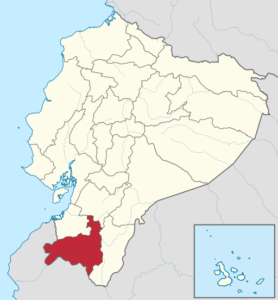 Investigators at Universidad Técnica Particular de Loja conducted an ethnobotanical survey in the Loja Province of southern Ecuador to learn about the use of medicinal plants by Hampiyachakkuna community healers treating the indigenous Saraguro population in San Lucas Parish. The team carried out their research on several field visits, during which they interviewed four healers from the Saraguro community (a Wachakhampiyachak [midwife], a Yurakhampiyachak [herbalist], a Kakuyhampiyachak [bone-healer], and a Rikuyhampiyachak [visionary]) regarding the medicinal plants they used in their practices. Notably, while the healers are highly trusted and recognized as effective by the community, they are also well integrated into the region’s allopathic health care system and readily transfer a patient to a health center or hospital when they detect serious conditions. Working with the healers, the investigators documented the existence of 183 medicinal plant species used in 75 different curative therapies, including nervous system treatments, cold treatments, infection treatments, general malaise treatments, inflammatory treatments of the liver and kidneys, and “mythological” treatments (for diseases determined to be of a supernatural nature). The team documented thirteen medicinal plants endemic to the region: Achyrocline hallii (sacha algodón); Ageratina dendroides (pegac chilca); Bejaria subsessilis (pena de cerro); Brachyotum scandens (sarcillo sacha); Dendrophthora fastigiata (suelda pequeña); Diplostephium juniperinum (monte de baño); Diplostephium oblanceolatum (chuquir agua); Fuchsia hypoleuca (sacha pena); Huperzia austroecuadorica (wuaminga verde pequeño); Lepechinia paniculata (shallshón); Phoradendron parietarioides (suelda grande); Salvia leucocephala (sp flor morado); Siphocampylus scandens (pena rojo de monte). Most of these plants are either vulnerable or endangered, due primarily to habitat loss. I recently launched a new open-access website to capture one of my abiding interests: tropical medicine and certain related disciplines, including ethnomedicine, ethnobotany, and ethnopharmacology. 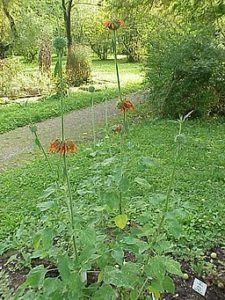 The site is EthnomedicineWatch.com, and it delivers continually updated information on current peer-reviewed research about medicinal plants, indexed by species and sponsoring organization. EthnomedicineWatch is one of two websites that I maintain to provide information relevant to health care. The other site, OncologyWatch.com, provides continually updated information on peer-reviewed journal articles and current clinical trials in cancer treatment, indexed by cancer type. My epistemological method for these websites derives from “As We May Think,” a 1945 Atlantic Monthly essay by Vannevar Bush, FDR’s science adviser during and after World War II. Bush’s vision of a personal knowledge base (memex) led to the development of the hyperlink and the World Wide Web. PubMed (an archive of biomedical and life sciences journal literature) and ClinicalTrials.gov (a database of privately and publicly funded clinical studies conducted around the world) are essential to EthnomedicineWatch and OncologyWatch. Virtually every update to my two sites originates with either PubMed and ClinicalTrials.gov, both of which are maintained by the US National Institutes of Health’s National Library of Medicine—surely two of the most useful and most efficient instances of US taxes at work.